In the breadbasket region, every farmer knows that it’s important to have breakfast to be ready for the busy day ahead. Discover why our Mennonite heritage has added a love for hearty family meals gathered around a good table as the best way to start the day. In the Interior, farm fresh eggs and dairy, fresh baked bread, local flours and local meats are the staples of our breakfasts. Local honey, Mennonite jams and creamery butter add a layer of deliciousness that’s hard to find anywhere else. For some, Paisley might be a little out of the way, but for a small town, it certainly caters to the breakfast crowd. Explore the menu at Marty’s Bar & Grill before you explore the rivers by canoe or hike the extensive trails around the town. Enjoy discovering what handmade and local really means. For a small town bakery, the variety of baked goods at the Big Dipper is large, but go early because they sell out quickly. Known for their incredible artisanal bread and dessert baking, this gem of a bakery/restaurant also serves lots of breakfast items on their menu to help get you on your way. Cottagers Tip: Might be worth taking out a membership so you can order your bread in advance for pick up. If you’re looking for a bakery that’s known for using fresh local ingredients, add Simply Deli-cious to your list of breakfast places to explore. This Walkerton staple has been serving happy customers the best of “made from scratch” menu items since 1999. Breakfast portions are generous and breakfast sandwiches are popular. The bakery features fresh baked bread, pies, tarts, cookies and muffins. Open for lunch. The locals say that if you go here once, you’ll become a regular. This busy diner has been keeping Walkerton & Hanover tummies happy for many years. The breakfasts are hearty, the service quick and the coffee is hot. 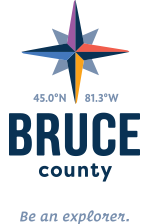 Come hungry and leave ready for a day of Bruce County adventure. If you’re looking for a healthier or lighter breakfast, the White Rose is a great stop to discover. A good selection of organic, fair-trade coffee, smoothies, bakery and breakfast items will help fuel a great start for a full day of adventure. Early risers will appreciate Green Bean’s 5:30 am start to the day. This bistro/café/bakery serves a dynamite breakfast and lunch with most of their menu items freshly made from scratch. They claim that their coffee is the best around, and enough locals stop in for coffee and breakfast to prove them right. Discover this gem for yourself!